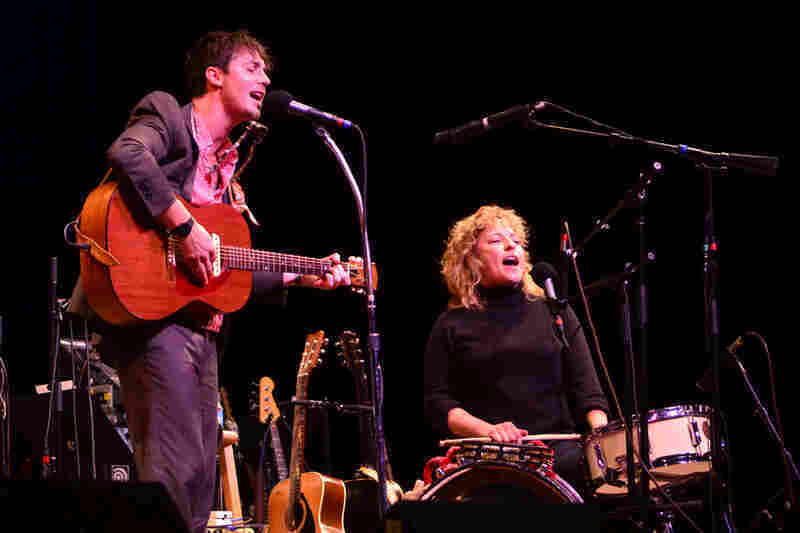 Shovels And Rope On Mountain Stage Michael Trent and Cary Ann Hearst are a married couple, but they only began playing music together in 2010. 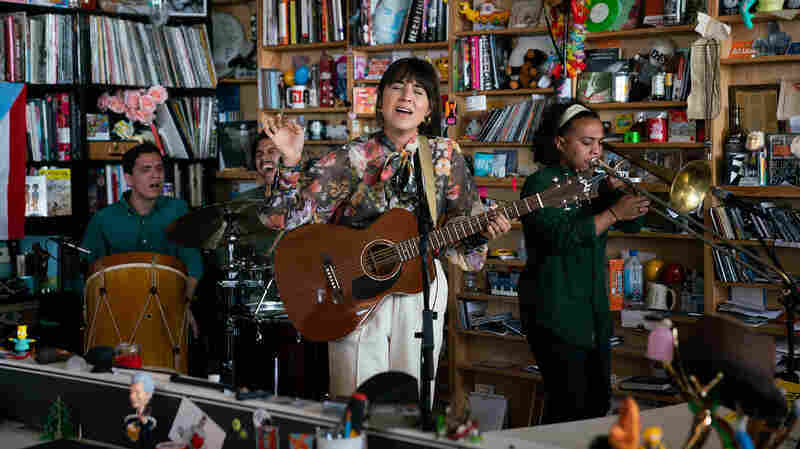 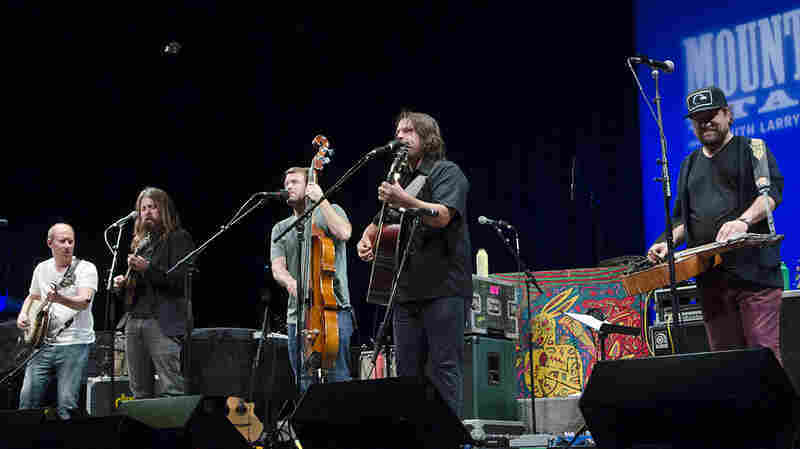 Here, the two play buoyant roots-rock songs from their debut album, O' Be Joyful. 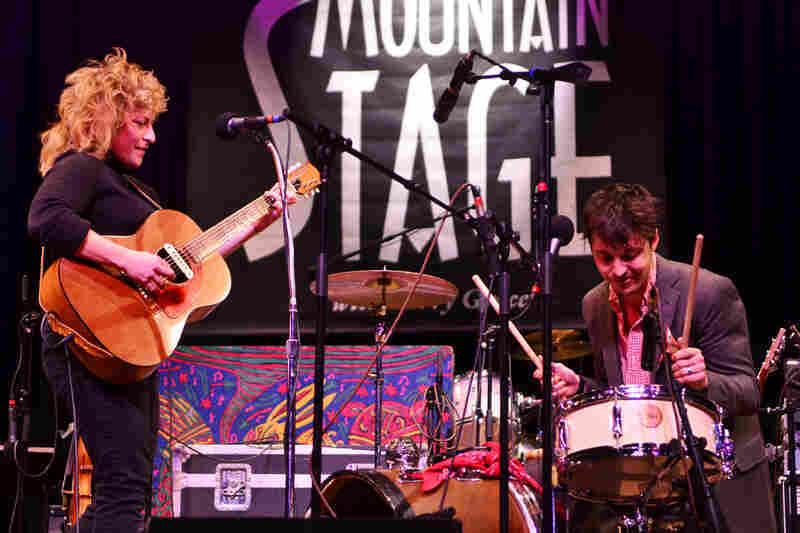 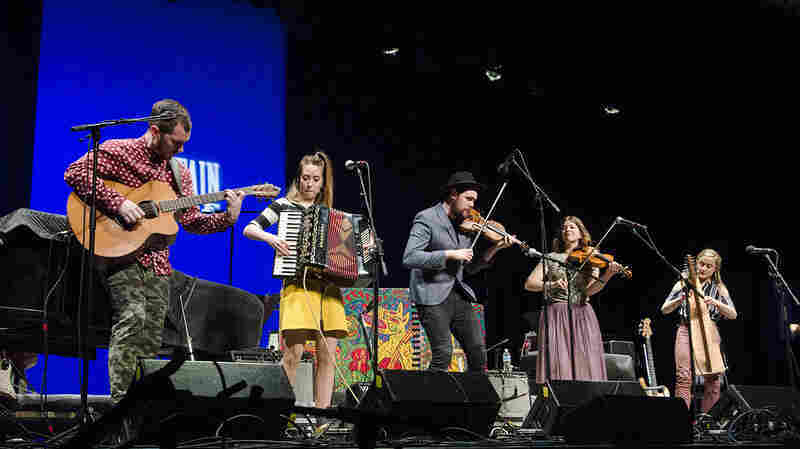 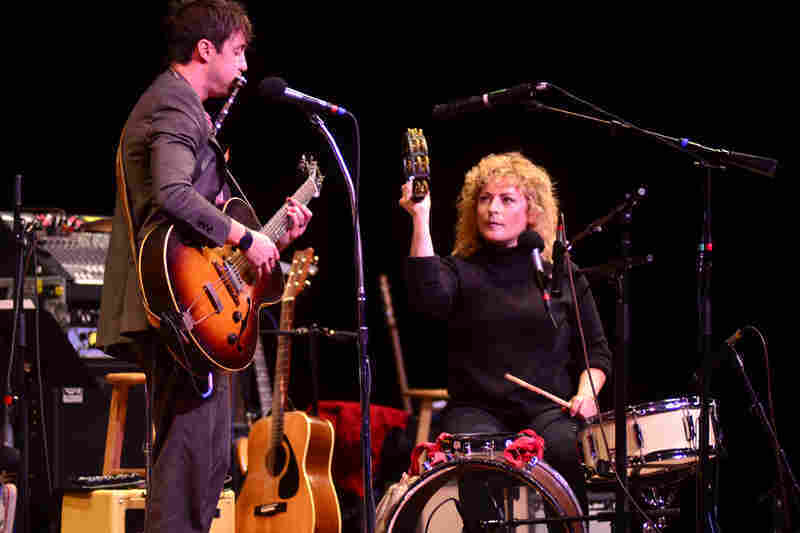 Shovels and Rope performs live on Mountain Stage. 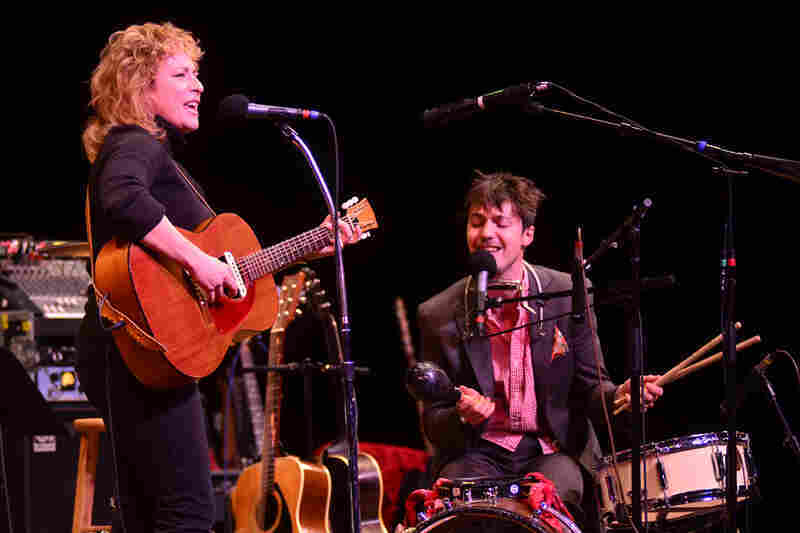 Shovels and Rope makes its first-ever appearance on Mountain Stage, recorded live at the Culture Center Theater in Charleston, W.Va. South Carolina natives Michael Trent and Cary Ann Hearst began playing music together in 2010, and in the years since, they've won the hearts of many roots-music fans, thanks in no small part to the married couple's heartfelt songwriting and passionate live performances. 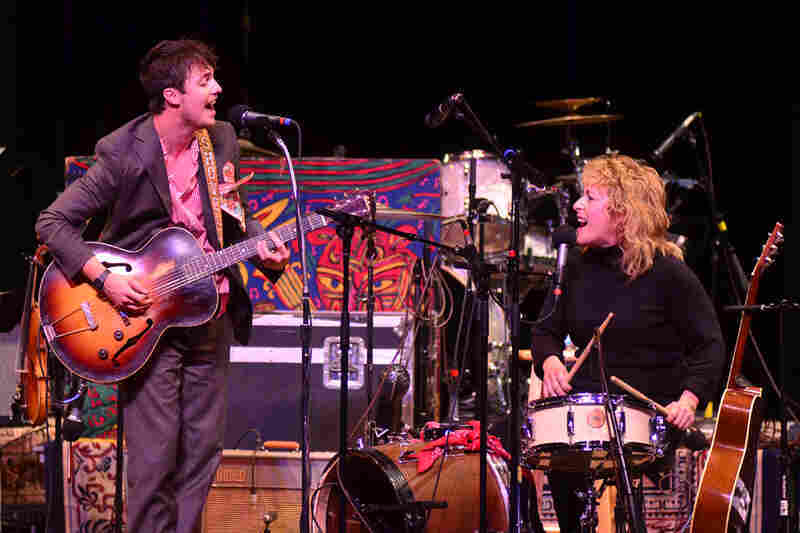 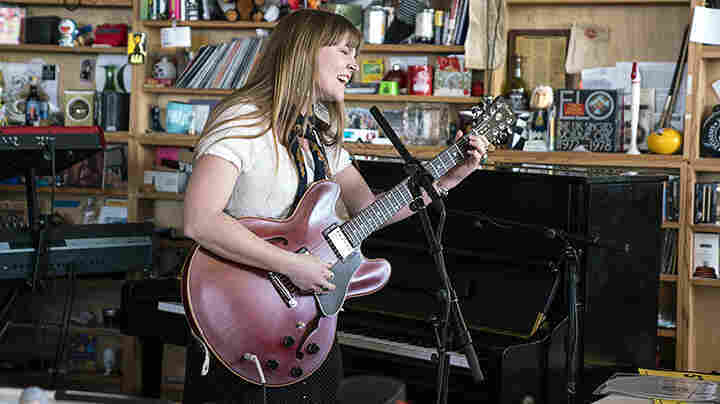 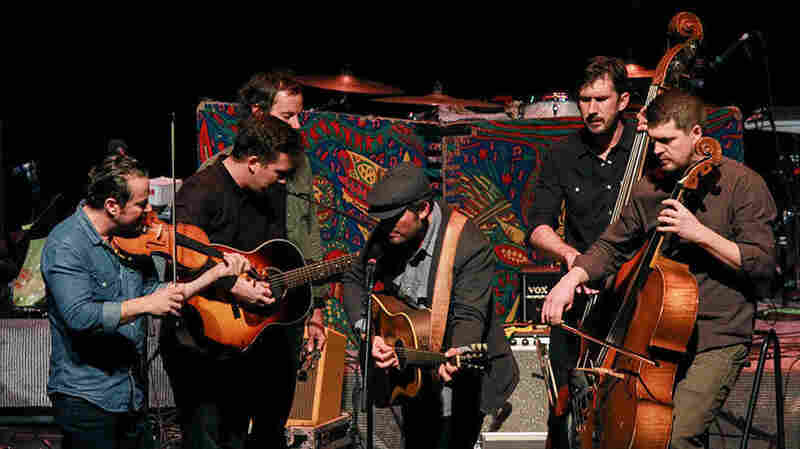 Taking advantage of unique tools and an unorthodox setup to create their "garage folk" sound, the two have been known to take turns behind a junkyard drum kit salvaged from an actual junkyard, along with guitars, harmonicas and assorted percussive devices. 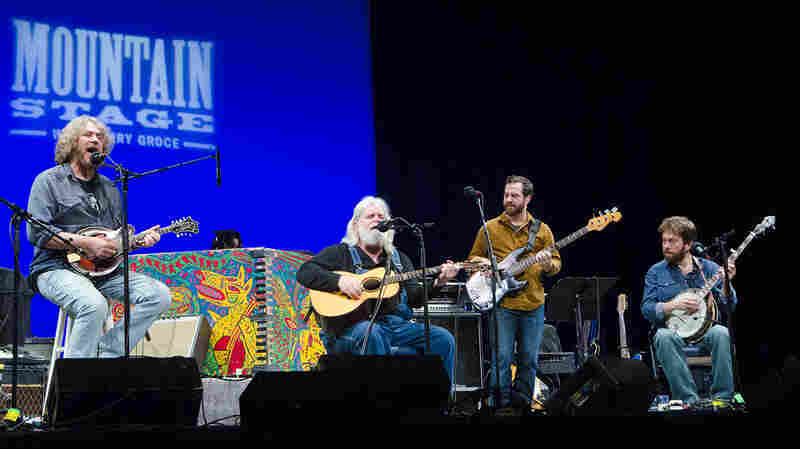 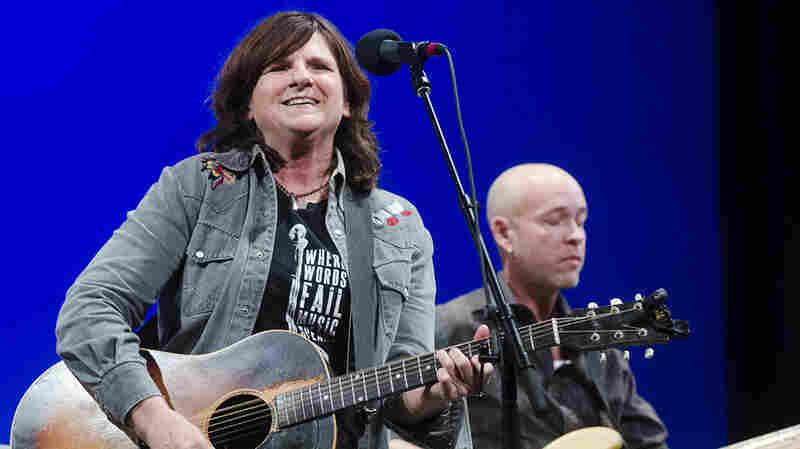 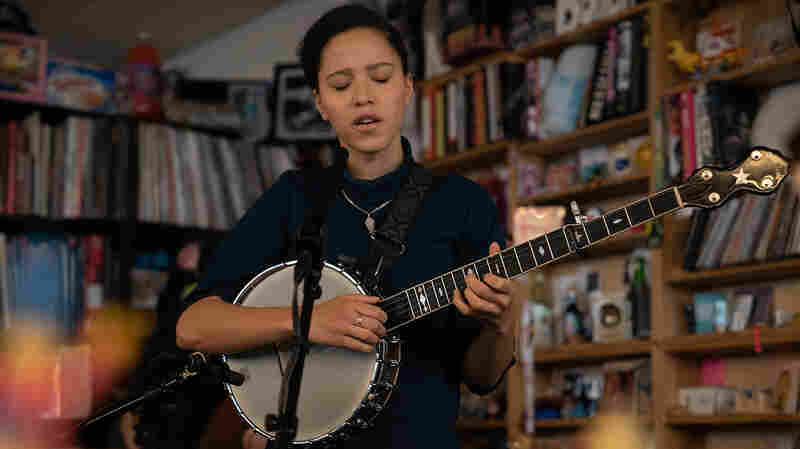 This set opens with the duo's breakout song, "Birmingham," and includes "Kemba's Got the Cabbage Moth Blues" and "Tell the Truth," which were not heard during the radio broadcast. 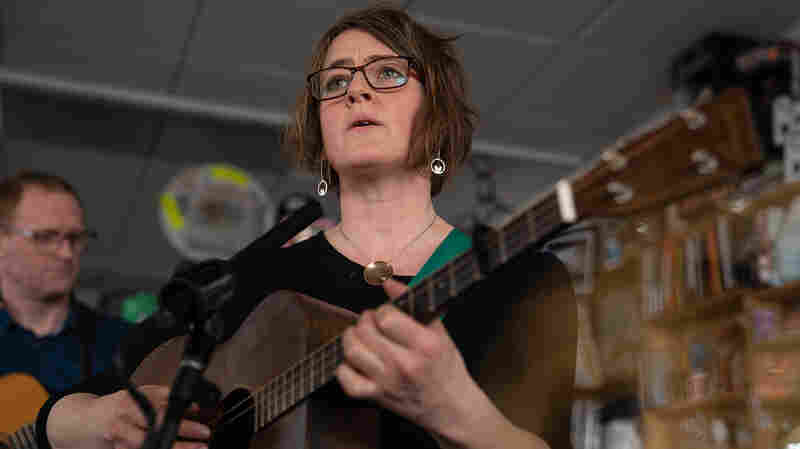 "Kemba's Got The Cabbage Moth Blues"